While we booked our 12-day trip to L.A. back in November (Black Friday sales! ), it didn’t feel real until we booked our hotels and car rental only/less than a month out. It’s not like we could cancel our flights without huge fees or anything. 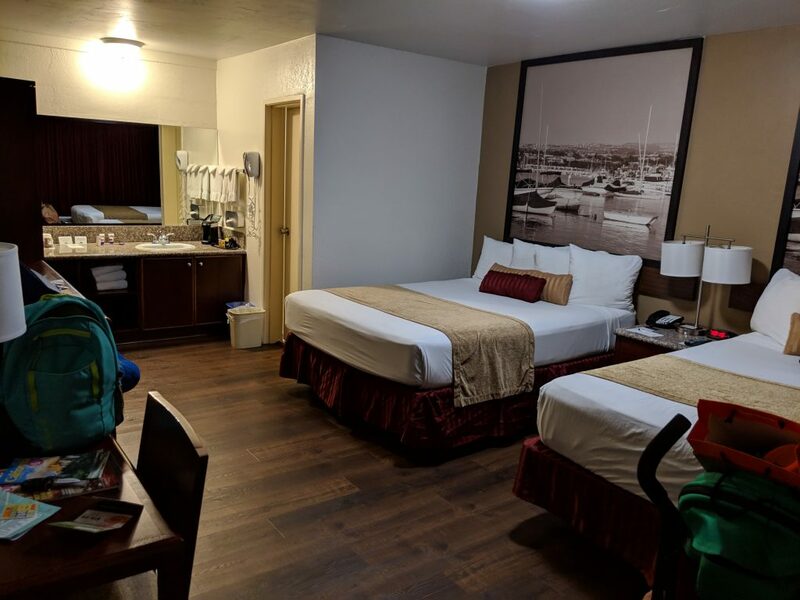 We arrived at the hotel after a day at Legoland in Carlsbad, so it was dark and a little wet when we pulled into the motel after passing several others driving down Kumeyaay Highway. The Mission Bay/Valley area was recommended to NPY and given we were going to the zoo the next day, it sounded reasonable enough. 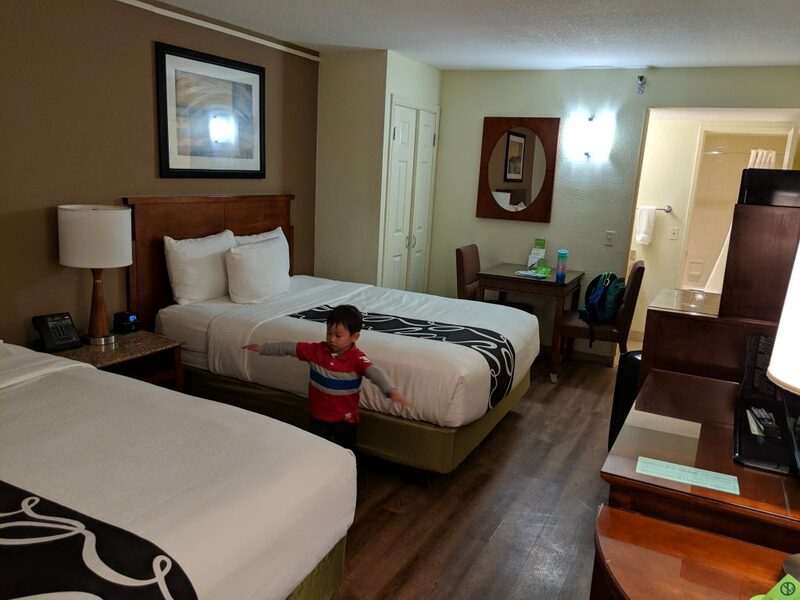 Online, we didn’t see a lot of hotels available for Aventura rewards redemption but since NPY encountere a problem booking online, he called and learned they access the Expedia site and more hotels were available and the agent got him a better redemption rate. The aesthetics of the room were not gross but also no appeal. NPY observed a gross sulphurous smell coming from the sink when he ran the water – I didn’t because I reflexively hold my breath anywhere near the washroom of dingier hotels! Hot and cold water control in the shower was wonky. Breakfast was okay – these days, eschew waffle syrup and fake eggs; the cheap yogurt tastes like sweetener, so all we want from them was toast, banana, dispensed milk, sausages that are fun to eat because SLZ thinks it looks like poop, and potato hash redeemed by abundantly available hot sauce. NPY doesn’t like the feel of the area. We’re just in the middle of the city but not in a walkable area so we never get familiar with it. I know that we’re not used to the crowd, that comes from everywhere, cf when we go to Seattle or Portland. We put up the Do Not Disturb sign and so did not enjoy housekeeping. The shampoo was Pantene brand. As much as NPY grumbled that we were paying about $40/night more than our friends who booked much earlier and highly recommended this motel, I thought we were ahead of the game overall. For the whole trip, we only paid for four nights hotel, while friends are living in hotels for like 10 nights and paying for all of it. And their friends were staying at a different (better brand) hotel (not motel) and paying parking each day. As NPY was checking in, I saw in the parking lot with SLZ and told him how we were at Hotel #2 and I hoped it was not worse than Hotel #1. I wasn’t so sure looking at the front section of the hotel. The back section looked so much better by being more brightly lit and with more contoured stucco. And then we stepped into our room … it was so much better! So thankful since it would be our longest stay! Even if our first two motels have the same rating, comfort level was a whole star more, in my opinion. Motel style individual entrances outdoors and hauling everything up stairs as there was no elevator. Large and open bathroom counter made setting up comfortable. Metal hangers with clips so we could dry things – this is necessary when SLZ wets his pajamas or to dry out washcloths. The room had an “executive” feel – our friends say it’s a former Super 8 and has been renovated, that they have been staying there every time for several years. It also wonky hot and cold water controls. There were heavy duty hooks affixed to the wardrobe from which I hung a laundry bag of increasing pile of dirty clothing. There was just more space between the foot of the bed to the television and that was much appreciated. Toilet bowl was wider than the seat so your bare thigh is touching it – unless I’m the one who says funny on a toilet? Searching on the Aeroplan website, there was so more choice than Aventura, but it cost me “more points”. It’s not a straight comparison as we are earning travel rewards points differently between Aeroplan and Aventura and I was considering staying in a nicer hotel than La Quinta booked on Aventura. Tripadvisor comments regarding the airport hotels (I considered Westin, La Quinta, Holiday Inn) were so scary as all three sounded like they were in disrepair and currently undergoing renos and subject to a lot of jetliner noise. To the latter, what do you expect near LAX?? But the Holiday Inn website seemed to indicate with a “thank you note” that their renos were done. Holiday Inn website seems to indicate with a “thank you note” that their renos are done? Tripadvisor does not indicate as such but I went ahead in order to complete our hotel bookings. 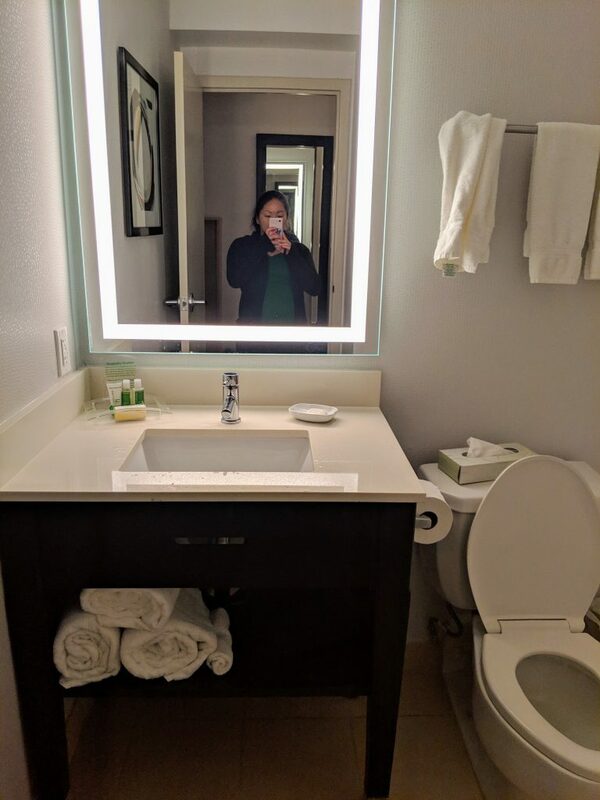 After six days in motels, the brilliance of the Holiday Inn floored me – “I’m in a real hotel again!” with a real lobby and Initial feel & omgosh I’m in a real hotel again with a real lobby, indoor hallways, and heady perfume! I was cautiously optimistic then we go to the fifth floor where our room was and it was the floor renos seemed to have skipped. I though the old floral carpetting was unfurling from the floorboards but that was not actually the case. Room #500 was in a weird mini hallway and right next to the emergency stairwell – seems like the room you give someone you don’t like, haha. Why didn’t it occur to me to ask and press for a renovated room? It’s wasn’t bad but I deserve it as much as the person who pays cash. Finally, we had a bathroom that I would photograph. Oddly, the shower fixtures were out of sync and water stained and rusted. 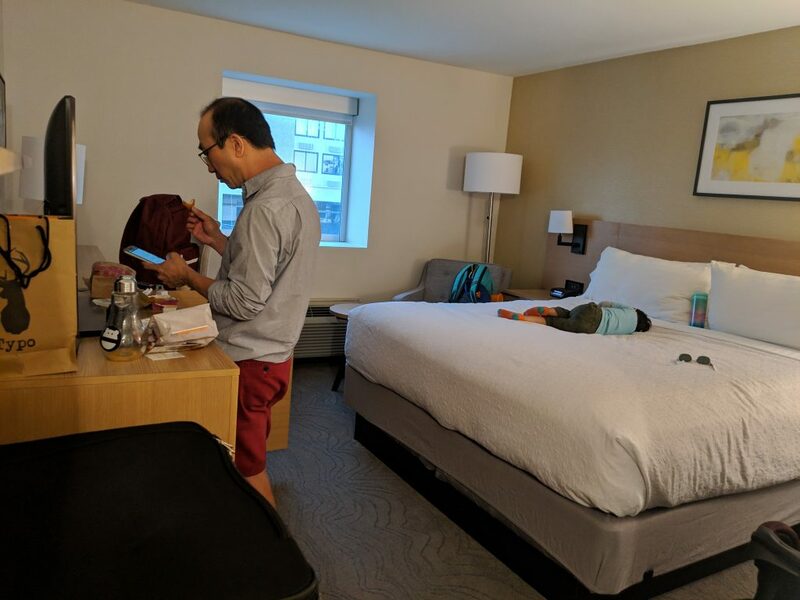 We were accustomed to staying in rooms with two queen beds so suddenly it felt claustrophobic to be in a room that only accommodates a king-size bed. Was our room renoed? I wasn’t 100% sure because while everything looked pretty new, couldn’t it be even newer? But below is the website’s photo of their current, nicest rooms and it’s the same finishings, just bathing in much more light. Maybe we got a particularly small square window – maybe they Photoshopped the window to be larger. I suspect we’ll be staying in motels more frequently in the future – alas – because of costs and certain perks (free parking) and when we go to a high demand area. You might mention Air B&B but I’m not pushing that one as long as we don’t have a horrific motel experience (bed bugs!) and don’t drop below 2-star accommodations or whatever La Quinta and Kings Inn are. NPY loathes the idea of living somewhere with/obviously owned by someone else and we don’t fork out for those fancy condos that other people tout as their luxurious vacation digs. 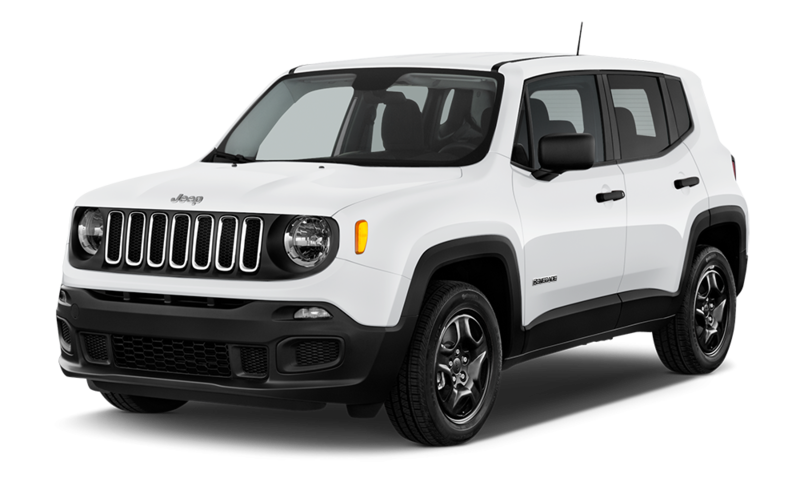 I thought I had scored a great deal on car rental once through Costco and the rate gets especially better when it’s over a week but not so this time. We were looking at rates at least US$600 for our trip. Our friend advised us of his discovery of great rates through the Budget UK site and that is where we reserved in GBP and it was a decent rate hence. I didn’t imagine that we’d spring for an SUV rental but I guess it wasn’t that much more expense than the usual sedan we’d rent. Trunk space was tiny and NPY said it wasn’t overly fun to drive. SLZ and I would have preferred a more traditional-looking Jeep but it got us around!